Registrants can Click Here to access recordings and related course materials as they become available. During the celebratory season in the Judeo-Christian tradition, much is said about love. Giving of gifts represents your heartfelt feelings for those with whom you are in a relationship. Many individuals light candles, string various shapes, sizes, and colors of lights to decorate their homes. 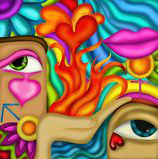 Many symbolic gestures point your attention to the depths of unseen awakenings of the element of Love. These symbolic gestures awaken unconscious memories that lie deep within you. In the course of your normal day-to-day life that is fraught with struggles and fears, the element of Love is easily forgotten and remains hidden. Because it hides in the worries and challenges of each day, it is seldom recognized, let alone used. I came to talk to you about Love as a powerful resource. This is the time in your year that humans are most receptive to such messages. First, many expect to hear messages that renew their feelings of closeness to one another. It is part of your traditions. Secondly, because this particular holiday season weaves a magic spell that opens your heart in ways that no other season in your yearly calendar of festive events provides. 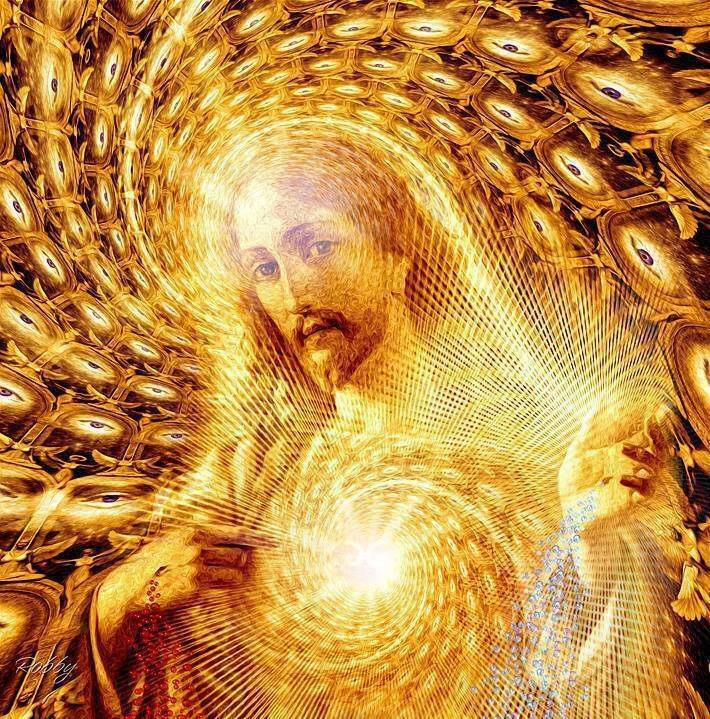 Bear witness now to the power of the seeding of the vast Light Template of Love that I as Yeshua successfully implanted in the sleeping consciousness of humanity. All of the children of Light lie deep in a sleep of forgetfulness where there are nightmares of fear and separation that play over and over in their illusion. These are not the dreams depicted in your celebration where sugar plums and faeries dance in the sleeping children of Earth. I came to play a role in the redemption of the Holy Spirit that dwells in the heart of all humans. I came to change the nightmarish experience that is created by fear and separation and caused all humans to fall into forgetfulness. There are enough awakened beings who embodied and provide a new experience of life to come into being. These awakened souls hold a stable Light frequency that draws forth the element of Love that I first seeded on Earth more than two thousand years ago of your time. As I stand with you now, in complete Love and Unity, a new era has arrived. Love and Unity replace the old paradigm of fear and separation. Your heart opens and flowers into a new state of consciousness. This state of love is not just about a warm fuzzy feeling in your heart. It is about appreciation of self and value of the creative opportunities that are right in front of you. They are magnetized into your very being. They provide a power to navigate life in ways that you had not considered. Your thoughts magically become aligned with such words as love, appreciation, value, confidence, and competency. Dramatic alterations occur, and your whole experience of life changes when you allow the new influx of the element of Love to enter. I am here now to present you with this element, just as I did two thousand years ago of your time. I planted the beginning seeds then. Now that they have been nurtured and cared for by many brave souls, they are starting to flower and affect more individuals to awaken. So I present you with an amplified version of the creative element of Love that is designed to empower you to create consciously as well as precisely. Conscious awareness is the energetic signature of this grand element. I wish to provide the information that is needed for you to use this beautiful element proficiently. First, it is not an emotion. It is a creative element, and as such it has creative power. The element of Love removes doubt. It unites and never separates. 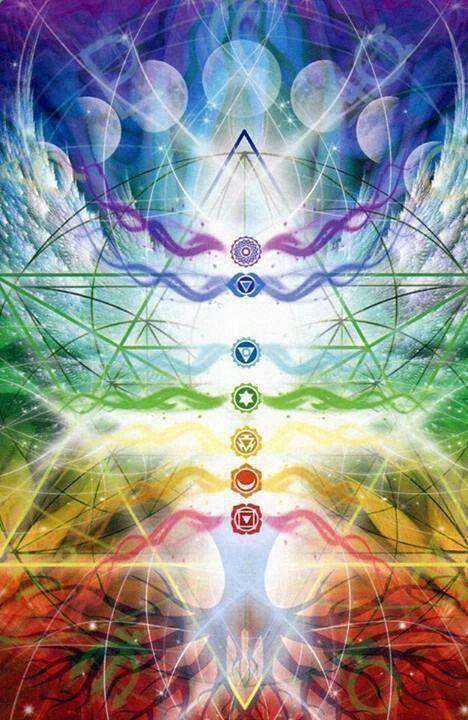 Its force is in its unifying principles on all levels of consciousness. It draws the fragmentation of the mental/emotional body together. The emotions that are used to propel the thoughts into a manifested physical level are chosen consciously in the presence of Love. Love creates a clearer emotion that is not dependent on conditions of any kind. This emotion harmonizes the other emotions in such a distinct way that you may not recognize them immediately. You may not see that they are usable and are waiting for you to experiment with them in your daily life. Pay attention to the emotions that you consistently feel as thoughts that create outcomes or manifestations always follow them. If your life does not exhibit harmony, look for the unconsciousness emotions that you may be using. Unconscious thoughts and emotions create a manifestation in your physical world experience. If the element of Love is missing in any part of this creative equation, call it forth from your Sacred Heart. I have placed the seeds of Love there for you to find and draw to yourself. It is important that the unifying principle contained within the Love element be consciously used, not as a warm fuzzy feeling, but as a powerful creative Light Template. The element of Love raises and amplifies all the energy channels of the body. The chakra system comes online in a different dimensional sequence that further alters your ability to create from a refined state of being. Love magnetizes your ability to use multiple dimensional sequences as you create. You take charge of your creations and are no longer a victim of them. You are a multidimensional creator of Light. But you have forgotten that. I am reminding you of this. I am showing you how to open the element of Love energies and use them with mastery. This element assists in the clearing of old patterns that limit and victimize you. It provides the confidence to see negative patterns clearly and remove them without judgment, doubt or hesitation. When you clear anomalies that surface without reluctance, you create a stable foundation of light energy from which to create skillfully with precision. You begin to know yourself differently as a creator. You place your foot confidently on your path of ascension. These are only a few of the benefits of using the element of Love. Notice in the few short minutes that it takes you to read this message how your consciousness has shifted substantially. It is important that you take note of all the changes that you make because you held out your hand to me and accepted my gift of Love. You also can provide this same gesture by offering Love without limit to others. How does this happen? Love has no limits. It is ever moving and creating. The element of Love is in your energetic field. When you use it often, you are capable of transmitting it to others in its full integrity and amplified expression. This Love element is in your energy field and is always resonating its unifying energy. When you are conscious of the energy that you are capable of transmitting, you become alert anytime a disruption enters to disturb your energy field’s coherency, and you take steps to remove it. Interruptions can happen because of a momentary event of an interaction that puts you into fear of any kind. Sometimes, during such interfaces, you may feel threatened and respond inappropriately because of a need to defend yourself. Ask yourself is this threat real or is it a perception created from an old survival pattern. Is this a result of a personal feeling of inadequate? Any feeling founded outside of love will always show you its opposite which is fear. I am here at this wonderful season to give you my gift of Love, a potent energetic element of Love that is vital to you at this time in your ascension process. This Love will change you from the moment you receive it. It will continue to live within you as long as you choose to experience life in the physical world. The element of Love is also your gift to humanity. It is your gift that is the most generous gift because as you receive it, you transmit it and send it forth without limit to others. You cannot give what you do not possess. The element of Love is an energetic channel that is clear, pure and vibrating. It is designed to use and give to others. Greetings. It is the Collective Consciousness of the Divine Feminine aspect of the All That Is. In this capacity, we will bring forth some information that is very conducive to the transformational process that you are engaged in at the present time. In the forefront stands Anna in the capacity of the matriarch, the wise woman, the wisdom holder. It is I, Anna. I am delighted to serve in this capacity. I represent the Divine Feminine. But understand, this Divine Feminine capacity is not gender related or related to the gender of your body. It is related to the consciousness of your divinity. Each one of you has come into embodiment at this particular time in the evolution of Earth to ascend into its original Christed design. As the Christed being that you are, you hold both the Divine Feminine and the Divine Masculine energetics within the Spirit of who you are. In this particular iteration of the Divine Image, you are called upon to heal the wounding of the fragmented masculine and feminine aspects of the human form that has been in existence since the great fall of consciousness. The fall was created in the physical realm, so it must be transformed in the same realm from which it was created. And you beloved, as the divine iterations of the human are charged with this duty. You have each taken on an embodiment to be the divinity that you are. Being the Divine Image is your purpose. So many of you have been out there searching for a long time, asking what my purpose is in this life? What am I to be? What am I to do? You are to be what God created in you, what Source created in you, the Divine Image. And it is through the capacity of the Divine Feminine that you are fulfilling what you came here to do. The Divine Feminine has certain aspects that in the reality of 3rd dimension do not exist. But you have moved past that 3rd dimension into the 4th dimension and into the beginning stages of 5th dimension where you have a reality where you know that you have free will, that you have a choice, and that it is up to you to make those choices. So I have come this evening to discuss with you what limits you in these choices. Limitations are in your old programming, as well as in the wounding that has taken place. Some of this wounding is very old and not of this particular lifetime. It is from many life experiences where you had deep, painful events that occurred in those lifetimes. They left scars in your psyche. Some of you continue to make choices in your life because of the blemishes left by old wounds as well as current offenses. The intenseness of your reactions is dependent on specific wounding that is taking place in the present but has been amplified by old scars as well. Your response also is incensed by the belief system that tells you that you are unworthy and less than another. How can something so beautiful, created in the Image of the Divine, be less than? It is so important in these times of change that you recognize this. You are that Divine Image. And as such you are very valuable. You are the next iteration of Christ Consciousness. So as we move forward, what is it that limits you? It’s the constant referencing to yourself as needing a savior. That you need rescuing because you are not capable or powerful enough to create and manifest a profound change in your experience. You do not need a savior. You do not need rescuing, but it is helpful for you to have models. These models can come from those in your present society, as well as those who have come before you such as Jeshua. Jeshua came to provide a different frequency, a different aspect of humans in form, to model Christed imaging, to model to you who you are, nothing more. He modeled to all love and compassion as well as an appreciation of self and compassion for all humans who struggle just as you do. In this wounding facet, let us look at what portion of that wounding has occurred because of power and dominance, dominance over, making others subservient or less than by what you say or what you do. Humanity has played both roles. Sometimes you are the perpetrator, and sometimes you play the part of the perfect example. When you are conscious, you always choose to model your divinity and are not ruled by a fallen ego that based on survival. Real power comes beloved, through consciousness, conscious awareness of who you are, not from a perspective of better than or less than. Better than and less than are two sides of the same coin, all stemming from a fallen ego. And so when you are tempted to think of yourself from either perspective, be aware, be conscious that this is a voice that is not of your Spirit. It is the voice of your ego which is attached to the fallen side of a human form. It has no relationship whatsoever to you as that beautiful Divine Image. It is up to you, when you hear such voices, to recognize from where they came, and choose to make a different choice from your heart, that Sacred Heart that holds a consciousness that sometimes is a little out of the frequency range of your current awareness. When you are discerning what you are thinking or what you are feeling internally, you can always go to that Sacred space and ask, “is this true?” You will always receive an answer. If you are not in resonance with the vibration of your Sacred Heart or not in alignment with the divinity of who you are, the answer will always be no. 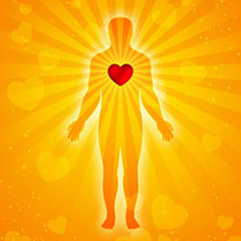 Your Sacred Heart consciousness always represents you as divine because you are that. These are very auspicious times that you have come into an embodiment. This is a time when the cosmic alignments are drawing you into a resurgence of an interior journey, an introspection of yourself. The Holy Spirit is very much an aspect of your divine feminine, where the wisdom of your Spirit is engaged from that internal space, where the love of who you are is engaged, where intuitiveness is engaged. Many of the gifts of the Holy Spirit are engaged. One of these gifts is the knowledge that you are capable and can receive higher guidance from your Soul, from your Spirit, as well as from the Divine Essence of “The All That Is.” You are quite capable of receiving these types of communications by engaging that Divine Feminine quality that lives within your Sacred Heart. I encourage you to access this knowledge. I encourage you to be open and be receptive as that divine being that you are. When you do that, a manifestation of the Divine Masculine quality comes into being. Your intuitiveness, love, awareness of self is engaged very directly, very precisely manifested within your physical experience. It takes both, the combination of the Divine Masculine and the Divine Feminine that brings into conscious awareness of the actual visibility of you from a divine perspective. The Divine Masculine can organize thought and direct it with precision into a manifested state of being. It is not one or the other. It is the real aspect of you, the totality of you as divine, having both Divine Masculine and Divine Feminine qualities, regardless of the gender of your body. When the Divine Feminine and Divine Masculine function as one, Unity consciousness begins to take place. All aspects of you unify into the glory of who you are and who you were created to be. Because various cosmic alignments took place over many months of your time, they supported a transformational process. This transformation process is where you find yourself today in a vast transformative process. You have the opportunity to bring forth the Unity of humans as Divine Images in form. Greetings, it is the Collective Consciousness of the Divine Feminine. We are present at this time as represented by Anna, Mother Mary, and Mary Magdalen. There are continual fiery energetic cleanses that are occurring on planet Earth since the beginning of 2018. The use of the element of fire assists Mother Earth to cleanse and purify the physical, as well as the energetic environment of Earth. It is intended to show you dramatic changes that humans must create in this time sequence of Earth’s evolvement. The energetics of the various cosmic alignments support the cleansing that is taking place within this sector fo the Milky Way Galaxy. The Earth energetics and cosmic energetics have produced an active intensity that many of you find uncomfortable. They are shaking you out of your comfort zone of complacency. Do not focus on your discomfort but on the message that these energetics bring to the Earth and humanity. Volatile energetics of change most often gets your attention. This statement is easy to say but requires each one of you to put forth an effort and creative momentum to change the old worn out paradigm of 3rd dimension. This paradigm is one based on separation and fear. It has never served you, nor will it ever serve a Christed Being, much less a Christed Planet. This is why in recent years of your time, you see a resurgence of feminine energy. At first, it surfaced from the old separation energy which is how it was expressed for eons of time. A separated version of the feminine as superior or dominant will never serve you at this time. The energetics of a new paradigm has come to the forefront in a conscious way and gotten your attention. We are here to guide you through any mistaken idea of what the feminine energy is designed to create. 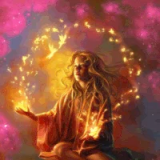 The dynamic force you see presently is one of the Divine Feminine based on the element of Love which is a powerful creative energy that brings about Unity Consciousness. The unity that is required is the unity of the perfected image of every human. This image has both the Divine Feminine and Divine Masculine qualities. Each of these qualities has a creative purpose and when used in a unified expression, as it was intended, becomes a powerful creative force that will instantly make changes on all levels of creative manifestation. These are the times for the Divine Feminine to take the lead so that the Divine Masculine can show up in its fullest expression. The presence of the Divine Feminine takes the lead, not because it is superior, but because it carries in its natural appearance the element of Love. The Divine Feminine also has a powerful dynamic vision, as well as the intuition of what is needed at any moment. The Divine Feminine provides the receptive crucible to hold the new seeds of her vision to take root. She nurtures the beginning seeds of her creation and provides the care and feeding of these seeds so that they grow and manifest as intended. As the seeds begin to take on the beginning stages of manifestation, it is time for the Divine Masculine to surface and provide what is needed to bring the creation into a manifested state. The Divine Masculine also provides a powerful energetic of the element of Love so that the manifested creation is based in a Source Love energy. The Divine Masculine provides the precise direction that must be taken for any manifestation. This energy is forceful, yet not aggressive. It is fearless and empowered to bring into completion any creation into a full manifested state. Every human on Earth has both the Divine Feminine and Divine Masculine qualities regardless of the gender of the physical body. You have always had these divine creative qualities, but you were mesmerized by the 3rd-dimensional paradigm of separation. Now is the time of awakening. This awakening is brought to you through the presence of the Divine Feminine because this aspect of you knows the appropriate timing for the new creative force to take hold. The Divine Masculine also is present. Feel the force and demand for change. The new era of Earth and human expression has arrived. Can you feel it? It demands of every one of you to create the changes that are needed now. Summon your unified expression of your God Source energy. Your Divine Feminine and Divine Masculine energy used in a complete union is the creative force that you can put into motion now. Everything that was created by Source in the realms of the “All That Is” manifests in its perfection in this way. This is your natural makeup because you are created in a perfect Source image. You always have a choice in any manifestation that you create. Discontinue using only a portion of your creative power that you see by its gender representation. You present physical body was designed to be used to experience separation and fear. That energetic paradigm is complete. Humans have experienced it in pain and misery. It is done. It is time now to step into a new creative energy where you can express your divinity in a unified way. You are required to create it for yourself because humans are creators in form. This is why you have come into this particular body now. Make the changes that are needed. This is your duty. Provide a beautiful expression of yourself so that you can model this to other humans, as well as to Mother Earth. You can create a precise, energetic environment of peace, harmony, and everlasting beauty like humanity has not seen since the Golden Era of Earth. This is your perfect opportunity. 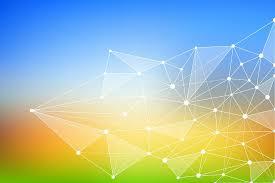 All of the energetics are now positioned for your success. You are supported on all levels. Opportunities abound as Earth and Humans awaken to the beauty that lies ahead. You are fast approaching the time of a new Golden Era. This era brings forth a reality where you will use the element of Love in ways you had never considered. This element brings every human into a balanced state that is never limited by a separated gendered body. This new balance shows you how to use the Divine Feminine and Divine Masculine qualities that lie within you to create a life on Earth that you can manifest with ease and grace. The struggles of the past are gradually relieved by the great Light that has been streaming from the Creative Realms of Source since the Harmonic Convergence. 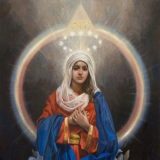 When you create a life experience from a balanced state of the Divine Feminine and Divine Masculine through the Golden Light of Christ Consciousness, your life becomes one of peace, harmony, cooperation, and wisdom. Many of you have diligently held a vision of a new Golden Era on Earth. You have altered some of the negative and separated consciousness that have plagued humans for eons of time. It is this vision that has brought about real changes that produce insights others can apply in their creations. It adds to a dynamic influence that has continually brought about more alterations to produce significant transformations in an earthly experience. Everything that is still based in fear and separation consciousness is surfacing to alert you to further changes you can make. These alterations may be in your environment, in your relationships, in the way you do business, or simply in further awareness of how to adjust your behavior daily in ways that reflect your soul beauty. Daily quiet time is needed now more than ever. You must go within to see your beauty and to receive insights about how to proceed in your daily creations. This quiet time helps you to make plans for how to further create your vision of a perfected life on Earth. In times of solitude, you can discover your soul blueprint or master experiences that you have already had. What valuable information! You can create a relationship with we Archangels who mimic to you the brilliant Light of Source energies. You can develop a tangible relationship with your personal guides who are present to teach you ways to manifest a perfected life experience that is based in 5th,6th, and 7th dimension. During these times of enlightenment, you are never limited to just one dimensional energetic frequency. You can draw from multiple dimensional realities. As long as you limit yourself to just one dimensional state, you can never discover your how boundless and unrestricted that your reality truly is. Such a shift in consciousness takes private time, solitude, and self-discipline. 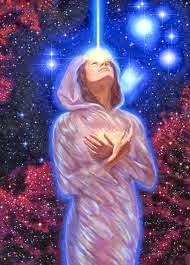 Would you be willing to put forth the effort if you could discover your connection to the vast cosmos or various star gates where great Councils of Light reside? You have those connections, but you have forgotten them. You have forgotten you are multidimensional by nature and can go beyond the restrictions of any dimension that limits you. Contemplate these things, Beloveds. When you are involved in the busyness of life, it is easy to slip into unconsciousness and create from that state. This state of being is called chaos. In the chaos, you are easily mesmerized by the fallen worldly physical pleasures and maya that abounds in in the fallen dimensional energetic imprints. Be on guard; there are negative influences that do not have your best interest at heart. These forces are intent on maintaining the fear and separation template, as well as a status quo in the energetics that they so enjoy. It is easy to fall under this spell, especially when your awareness drops or your emotional body is in reaction through fear. If your physical body has become weary and is not receiving the complete nutrition that it needs, this makes you vulnerable to outside influences. Be aware, limit your vulnerability to anything outside of yourself. Dedicate time each day to be in quiet meditation to develop self-awareness and connection with all of the Light Beings who are poised and ready to assist you. Your availability is key to receiving assistance every day so that you never waver in the full expression of you as Light. You have all incarnated at this time to be of service to Earth and humanity. You have so much to give, but you cannot give what you do not consciously hold and express in your daily life. You are beautiful beings of Light. Behold your magnificence and express it daily. You are the ones who can change the world. You can be the example that is needed. What will you choose? Will you choose the Light from the Cosmic Realms of Source or will you choose the influence of a fallen ego? I am an Archangel who is the Beauty of Source in its perfection. I have many functions, but my primary purpose is to hold and transmit the perfection of Source Creative Energy. I am devoted to Earth as well as to all of humanity. 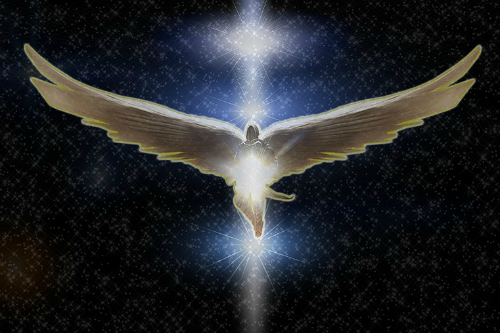 I have gathered with many Archangels and come close to all humans. We emanate and transmit the creative perfection of the Source of your being. We want to show you just how beautiful you are. You are the divine image of Source. You were created in that beautiful image of pure Light. So often in your day to day life experience, you are thrown into survival energy of other humans and Earth energies that exemplify this fear-ridden structure of an old paradigm. You forget who you are and cannot remember that you have a choice in what you create and react to in your life experience. But most importantly, you forget to see your beauty or that there is beauty all around you. You must notice it before you will be able to see it fully as well as see consistently. So I am here to transmit more of your divine beauty so you can see it clearly. We are not telling you to ignore that anomalies exist in your environment or that they are continually created. These anomalies do exist and challenge all humans. What is important is that you see them clearly and then make a choice not to contribute to their energetic existence. Choose to create from your divine beauty. When Earth was created under the direction and creative, energetic power of Source, it was a spectacular display of pure Source Light and Love, unimaginable luminous and vibrant colors, as well as sounds that vibrated perfection. It was one spiraling gaseous form of Christ Consciousness that continually transmitted those energetics to the Milky Way galaxy and all galaxies that were near it. It was a masterpiece of perfection and was to the diamond of the eye of that Source energy. Feel that beauty in your body senses. Feel it in your emotional body. Feel the joy that surfaces within you as you allow yourself to sense this beauty. Now direct your attention to you. Source created humans very masterfully in that same beauty. You were created in that Divine Image of Love and Light. Know that you can never be separate from that energy. This is how you were created and who you are. You were the Light within the eye of the Source of your being. You were designed to experience the unique individual in form. You have the capacity to create like Source in Love and Light unified within a human body. What a beauty to behold. Can you imagine the perfection of that beautiful Source creation? Will you allow yourself to see it? Feel it within you as you permit the senses and feelings to take up residence in your conscious awareness. Even if it is only momentarily available. Allow yourself to imagine it and feel it. Call up that image and feeling again and again, until it is there immediately when you call upon it. You are capable of creating this reality and making it usable. Seat it in your memory codes. This is a valuable reference point that will help you choose your experiences in life that represent your true nature. Many of you have forgotten this image because of the interference from a denser dimensional environment that is based on the old paradigm of separation and fear. These energetics are not supported in the frequencies of the new model of 5th dimension that is based in Love and Unity. Can you see how valuable your creation of a sensory reference point becomes now? You cannot access self-love and value without having beauty as a reference point. Beauty at a sensory level is a result of the presence of the element of Love. You are Love. You are Light, magnificent Light. We Archangels will continue to transmit the Love and Light and Beauty of you until you can totally embody it for yourself at the individual as well as collective level. When you allow yourself to be in the beauty of the Earth and nature, your memory is refreshed. There is no other planet in the entire vicinity of this part of the Milky Way galaxy that has such physical beauty. Even though Earth is now in a denser iteration, the integrity of its beauty is maintained until she can once again ascend into her original Christed self. You as the individual Christed image can assist Earth in this elevation process. When you create and uplift your state of being, you can transmit that beauty and love to the Earth and the elemental community. You change the Earth’s ability to hold the vast Love and Light of its original state. 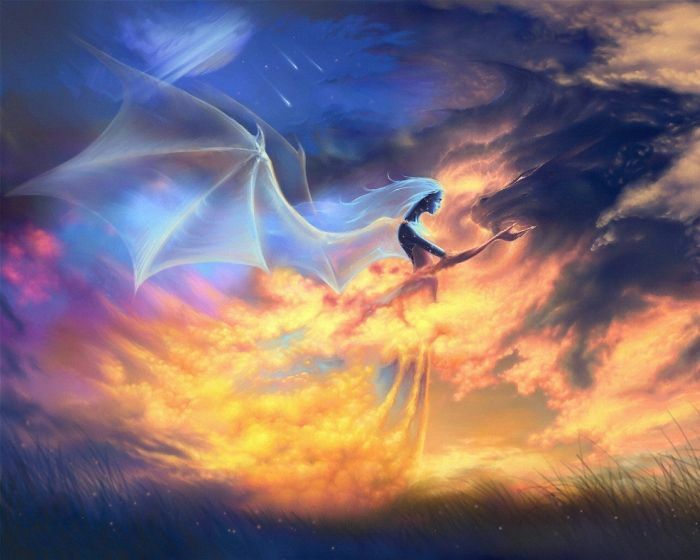 The Elementals respond in kind and begin to create an environment based on the new paradigm of Love and Unity. You as human creators need a new environment to create in that reflects your divinity. You can co-create this with the help of the Elemental community. Know that Christ Consciousness can exist now and for eternity in the reflection of Source Beauty. Call on me often. I will be there reflecting your beauty. These are exciting years of change on planet Earth. Each one of you contributes to the changes humans can make. All of the Light waves and particles sent from the Creative Realms of Source change the energetics of Earth’s environment. The new environment being created provides a fertile ground for humans such as you to create from your Christ consciousness. When your physical environment is energetically aligned with who you are at a soul /spirit level so much can change almost instantaneously. Your soul/spirit alignment creates momentum and supports a light-filled environment both energetically as well as physically. You are the ones with the physical bodies. It is up to you to now create differently. 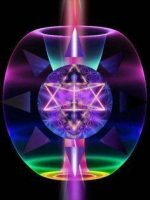 You can create more stably from the 5th-dimensional Light template of Love and Unity. Many of you have spent years attempting to do this. At last, this is the time. Many of you have been instrumental in creating a momentum that has brought humanity and the Earth to this present fertile time of creation. I want to add to your consciousness at this time and give you some information as well as further suggestions on how you can amplify your abilities to change your world. A balanced energetic of the masculine and feminine energy within each individual is crucial to the changes that all of you want to make in the world. Gender is most often associated with the gender of the body and the roles each gender plays in life on Earth. Every human, regardless of the gender of the body, has both feminine and masculine attributes and qualities. True masculine and feminine qualities are covered up by the dense, energetic environment of the 3rd-dimensional energetic template. The result of the stable and rigid energetic of 3rd dimension prevents you from being aware that you are more than your gendered body. You have a unique soul/spirit that has a balanced creative ability to manifest in your life. In the dense environment of 3rd dimension, you only knew yourself as masculine or feminine. If you were masculine, you created by directing your thoughts and by being organized, deliberate, and often aggressive when you had something specific you wanted to create in your reality. You pushed hard, and you were tenacious no matter what anyone else wanted or needed. Dominance was something you knew well how to use effectively. You only considered what you could see or touch. Everything was physical, and you didn’t want to believe anything outside of your physical world. You were taught you could never feel or trust your emotions, other than anger because that would diminish your power. If you were in a feminine body, you were taught to be submissive and bow to the needs and wants of any masculine gendered individual. You had to be silent when those intuitive thoughts would manifest. You had deep feelings that were not honored. You were told you were too emotional and as a result, you could not hold any position of power because you were not capable nor intelligent enough to be trusted to hold such a position. As many of you stepped into a 4th-dimensional frequency, you wanted to create changes that had no war or fighting. You desired to create equality not just in gender but in race and religion. Much was accomplished during these times. Love started to come into the picture. It first arrived as a feeling. Some of you realized that it was more than that. You saw there were creative results that were happening because people started to respect and value life and some humans. Unity consciousness began to activate slowly. There was a tremendous momentum that was created to resurrect the feminine to a different status. This momentum was appropriate. You have to see all the misaligned foundations in a system before you can correct them. But even these changes were made from separated viewpoints. Women became more aggressive and demanding. They wanted power over not just men but other women who stood in their way. They could only see the template that the masculine had modeled to them. The masculine template worked for a while, but soon many women realized that this truly did not represent who they were at a soul level. A change was needed, but that change had to come in a balanced way to better express their true nature. Women began to learn some of the positive masculine attributes such as organization, directing their creations precisely and promptly. They learned the difference between assertiveness and aggression. They saw the value in standing firmly in what they knew was their right path. Most of all, they recovered their intuitiveness and began to use it appropriately. They still respected their feelings but did not become overwhelmed by them. They directed them where it served their creations best. They began to temper every creation with love and value of others. But a silent something was missing. There was still the separation of gender. Where was the partnership of the masculine and feminine qualities to create with passion? Unity and Love had to come into a complete state of consciousness. 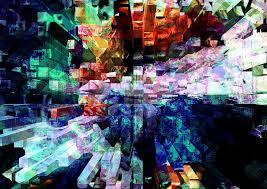 The energetic environment of 5th dimension had to fill the collective of all humans. You are still struggling with this, beloveds. Every one of you, whether you are in a masculine or feminine body must recognize you hold both feminine as well as masculine qualities. You must be willing to see the worth of these united qualities. The unity must come from within yourself before you can see the value in others in another gendered body. Men and women must come together to create an outcome that serves humanity. Honor the intricacies that are part of your spirit of your creative makeup. Express yourself in ways that only you can manifest from an individual level. The timing is now. 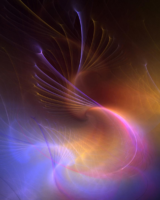 The energetics are sent continuously from the Creative Realm to support you. It is up to you to receive them and change the old paradigm. See the obstructions in your way. Look at what you have been programmed to think and believe by those in your life who had the most significant influence. Ask yourself is this true? Genetic lineage programs and beliefs don’t always serve you. Look inside of your heart to see if this fits with who you are at a soul level. If it does not, disconnect the cords that bind them to you. You have the power to change and be the 5th-dimensional creator you came into this embodiment to be. There has been a lot of wounding within each one of you, especially from a false gender perspective. It is time to recognize this. Forgive those who taught this to you. Forgive those who hurt you because of your gendered body. Recognize this forgiveness does not make the act alright. True forgiveness releases your reaction to the offense. It helps you to break the ties of the misaligned energy from your energy field. When you can see that most of these false teachings and actions were perpetrated by ignorance or something that was modeled to them that they thought was the truth. This is how you gain sovereignty in your physical expression as a divine human. When you stand in your truth and power with conviction and assertiveness, you are no longer the victim of circumstances. You truly become the creator of your experience on Earth. You are capable of modeling this to others. As a result, human consciousness is changed at the collective level. Source creative power has no separation. No masculine or feminine expression is better than the other within it. There is only Unity and Love that is balanced and manifested in any Source creation. You have the power and the resources to create a better environment for all humans to experience life in a body on Earth. 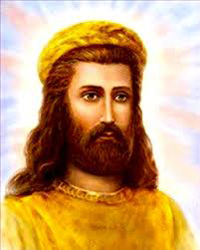 Christ Consciousness is being born now.